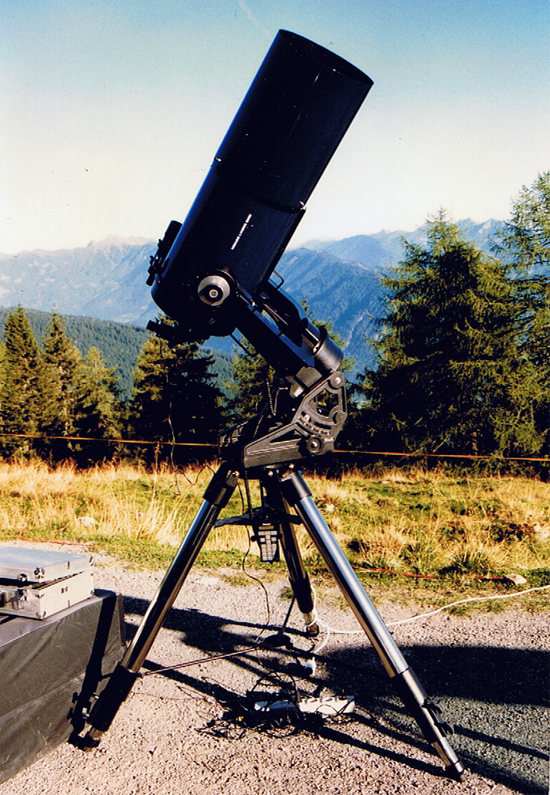 Here are some pictures of and made by my LX200 12" Classic, when observing or photographing comets since the last 20 years. 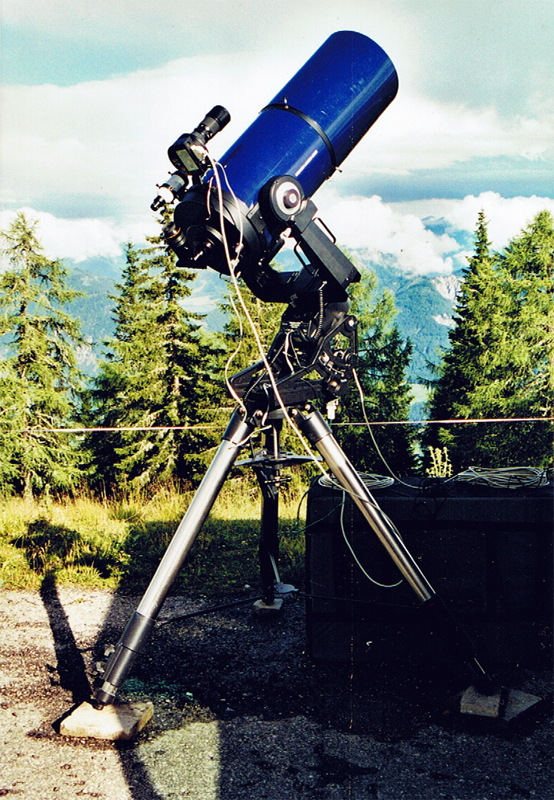 The ITT telescope meeting in Austria was my first contact to other amateur astronomers. 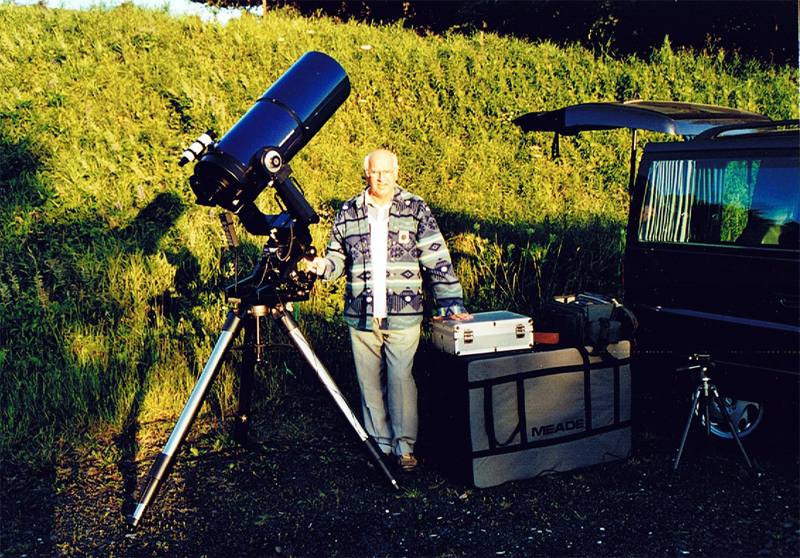 Some of the guys there where talking about the just discovered comet C/1997 Meunier-Dupouy. From that time on I was infected with comets. 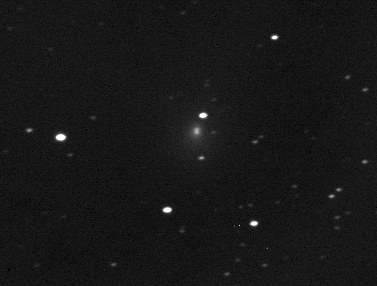 Some weeks later, I surprisingly found a tail of C/1998 W3 (LINEAR) in a long-term exposure of 80 minutes. 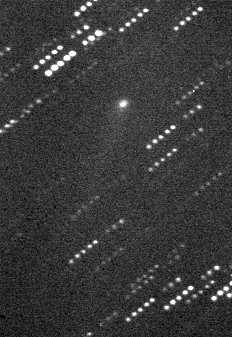 This detection was the first highlight in my comet astronomy, though the comet was in distance of Jupiter at the time of exposure. 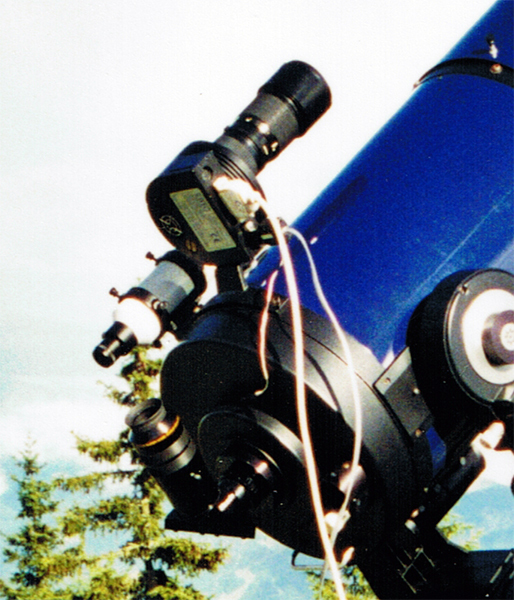 In summer 2000 we expected a new comet becoming bright: C/1999 S4 (LINEAR). 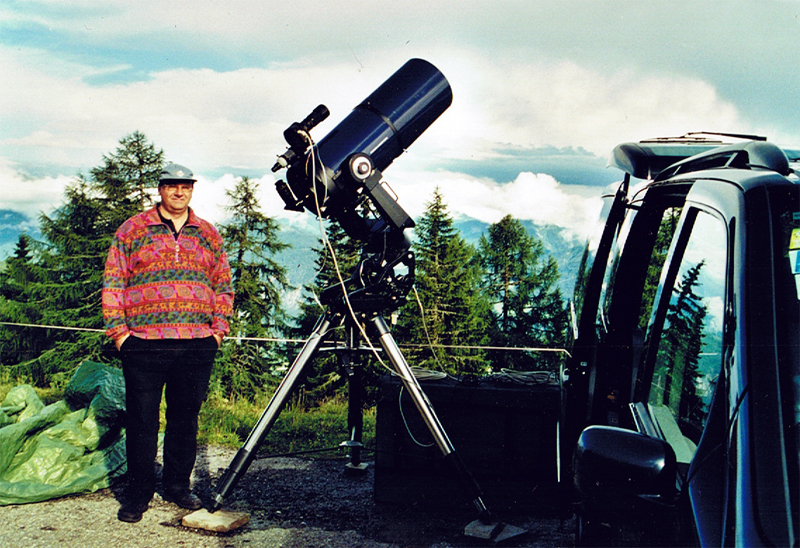 My brother Guenther and me were driving in mid July 2000 for a week to the Emberger Alm, to take some photos of the new comet. Unfortunately the weather was so bad and it was raining the complete week. 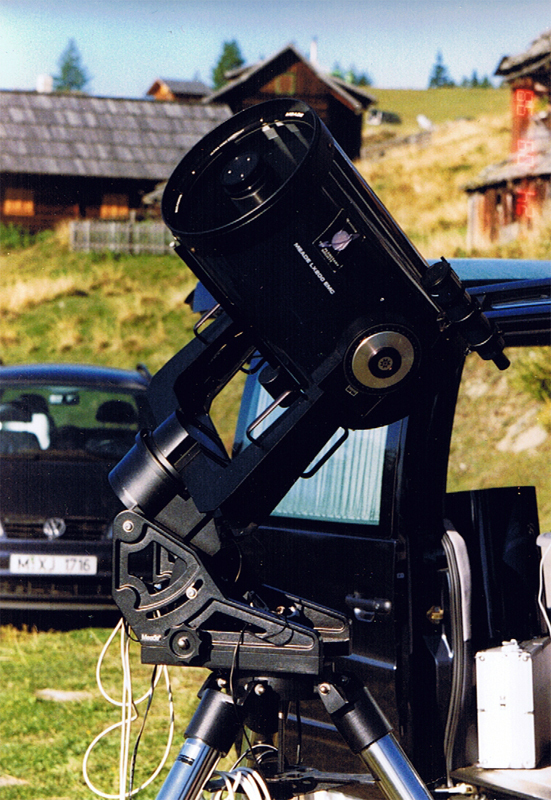 combined with a 2 x focal length duplexer. 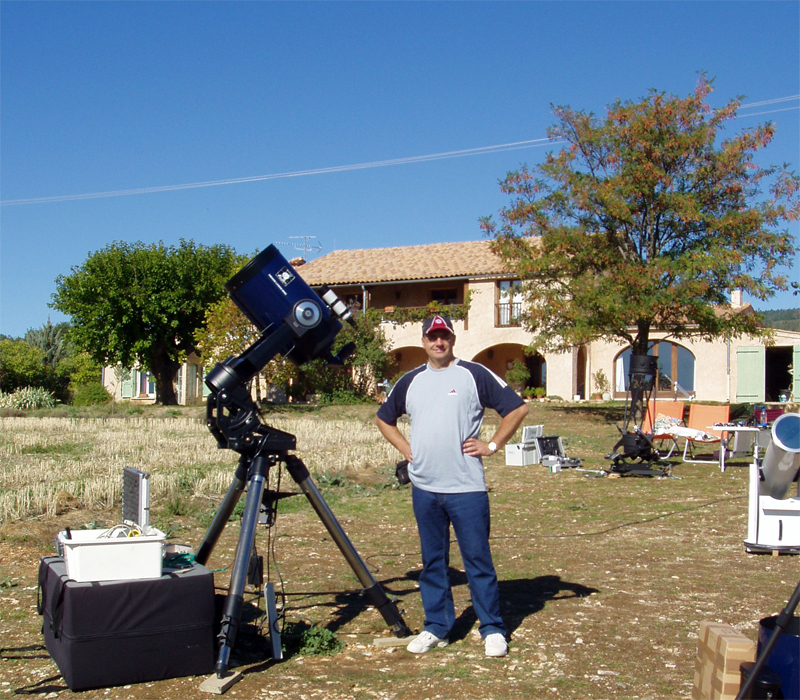 The sun came out a bit and so I hopefully prepared the comet shooting for the coming night. 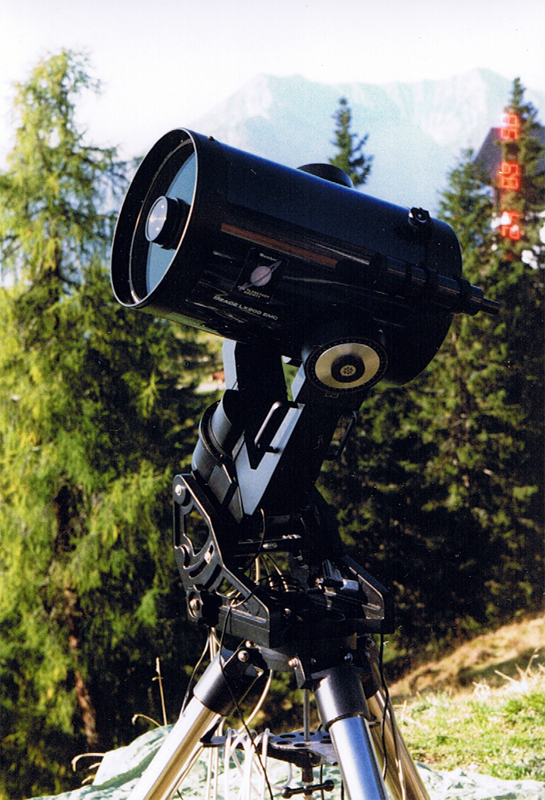 The ccd camera ST-8 with a 200 mm tele lens is piggy-backed on the telescope. Later I performed the guiding manually with a guiding ocular. Only three quaters of an hour the sky was clear on direction to the comet. 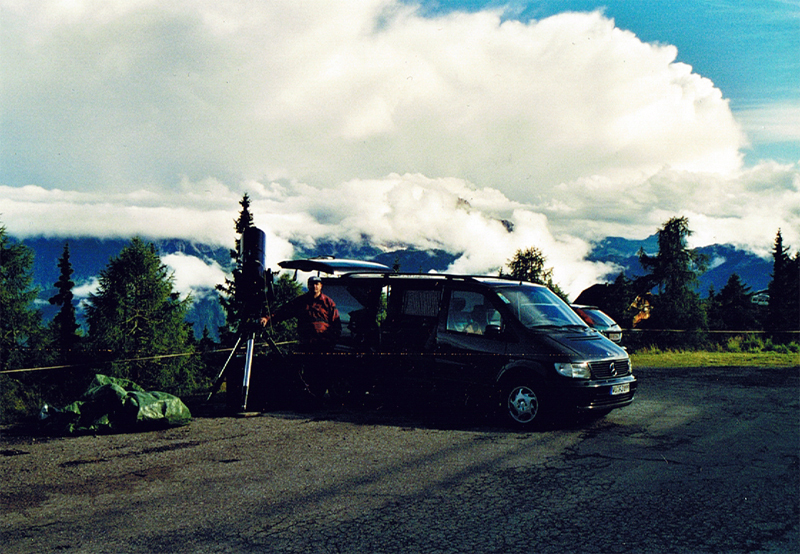 Nine days after our trip to the Emberger Alm, we decided to drive not so far to observe the comet. 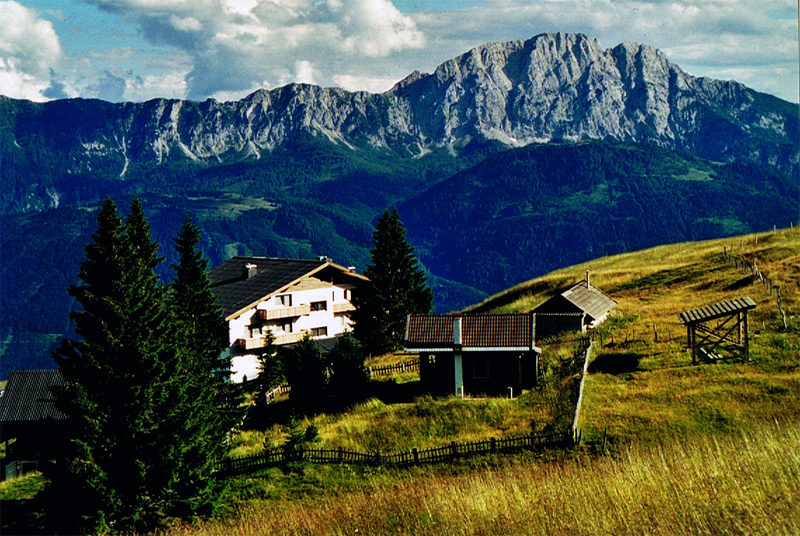 The Kreuzberg Mountain in the Rhoen in Central Germany is famous for its very tasteful Monastery beer and its delicious Schweinehaxe. 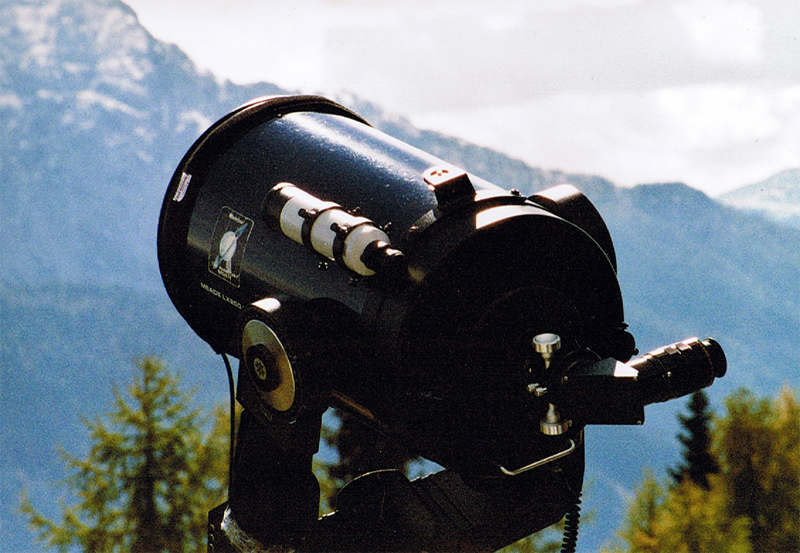 ...but we can get not only culinary deliciousness on the mountain, but also very good dark skies in 850 m above sea level. 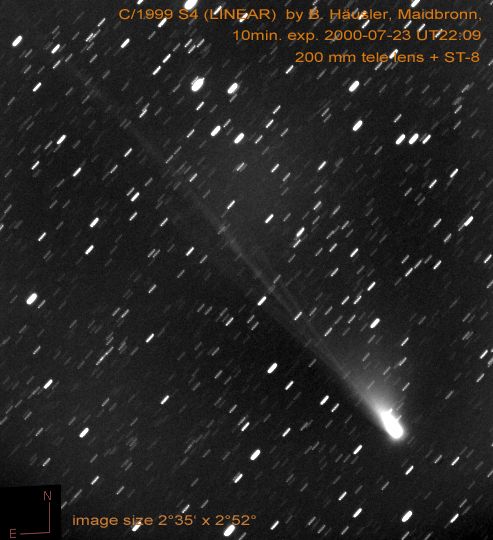 The Beauty and the Death of comet C/1999 S4 (LINEAR) with an image of the desintegrating comet. Only a week later the comet broke in hundreds of peaces. The Hubble space telescope took some photos of this event.